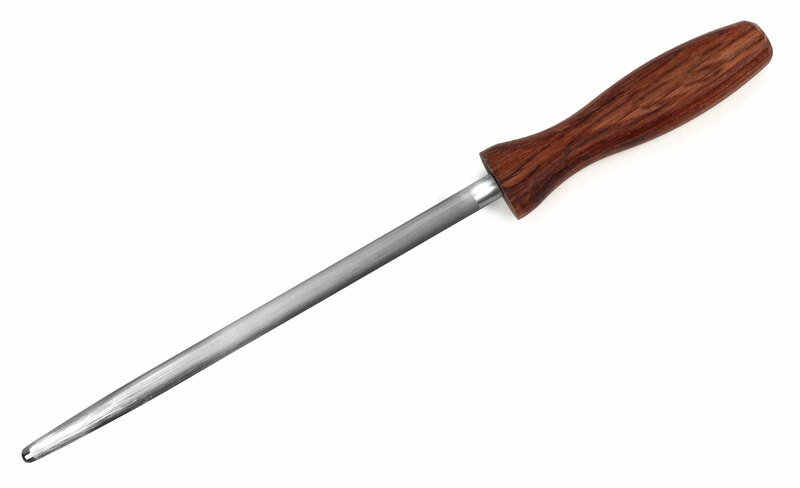 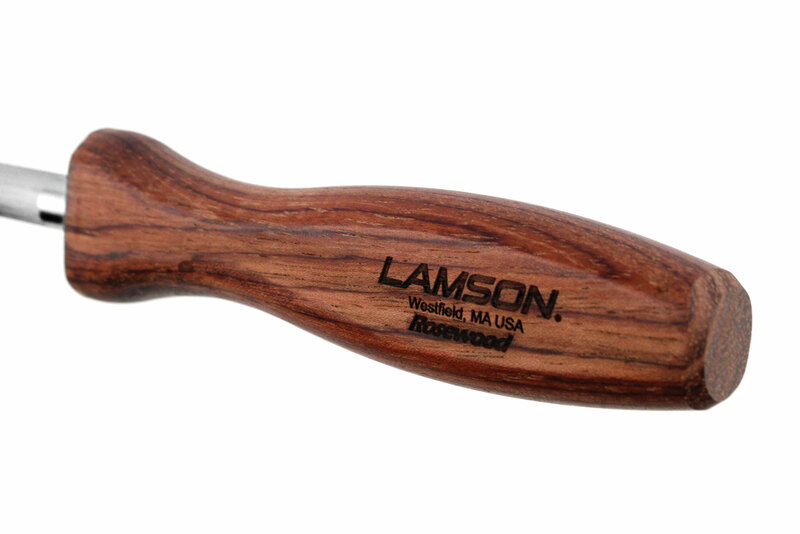 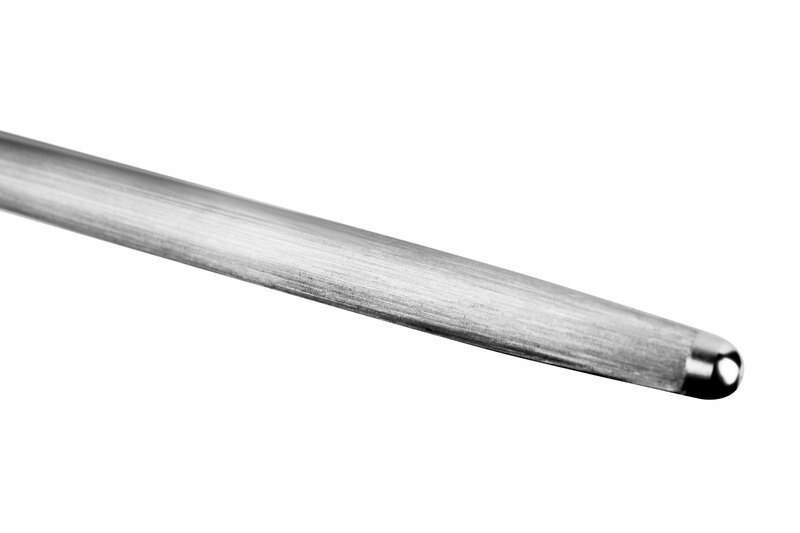 The Lamson Rosewood Sharpening Steel features a 10-inch rod, grooved for ease of use. 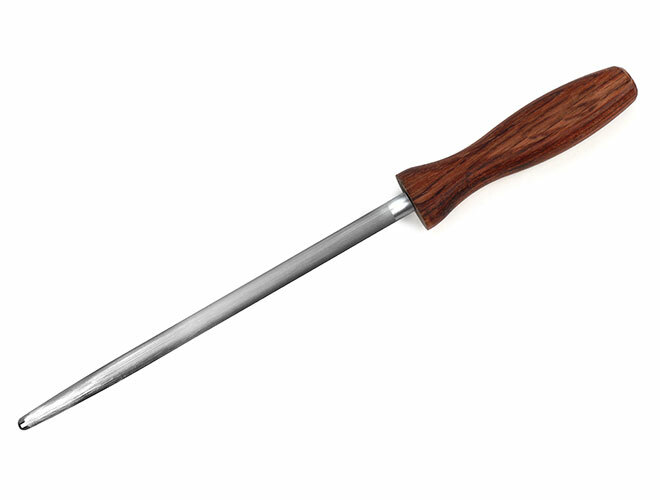 The natural rosewood handle provides a comfortable grip handle provides a good grip and features a reasonable bolster to help prevent the knife blade from hitting the knuckles. 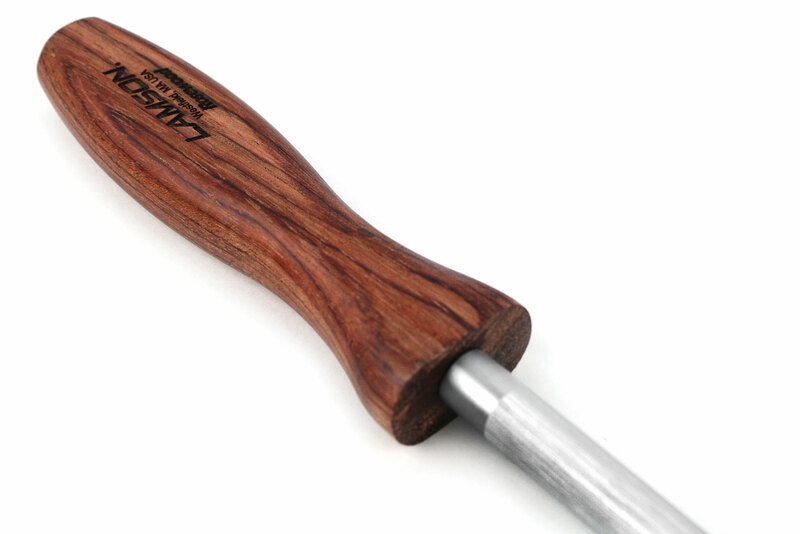 Fit handily into a provided slot in most wooden storage blocks.